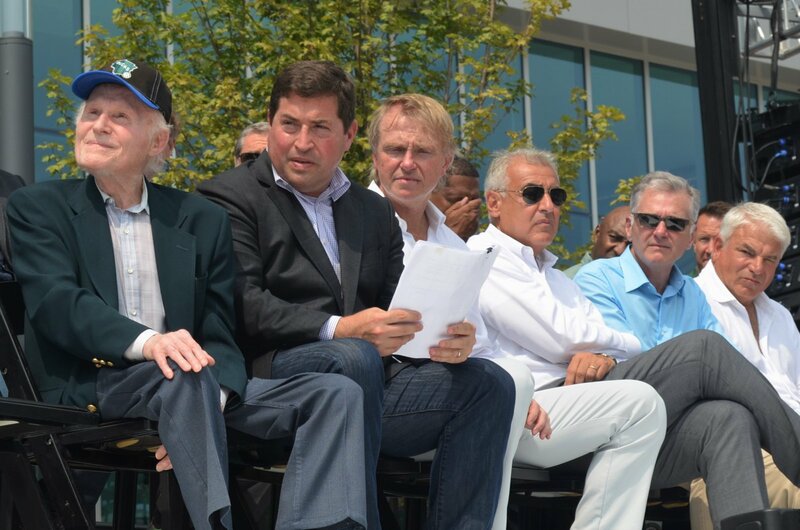 Herb Kohl, Bucks president Peter Feigin and the Bucks ownership group at the Fiserv Forum ribbon cutting ceremony. Photo taken August 26th, 2018 by Jack Fennimore. All Rights Reserved.